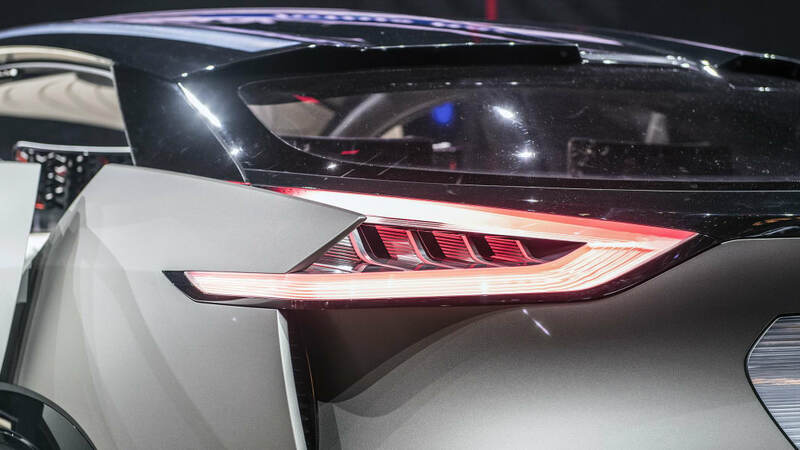 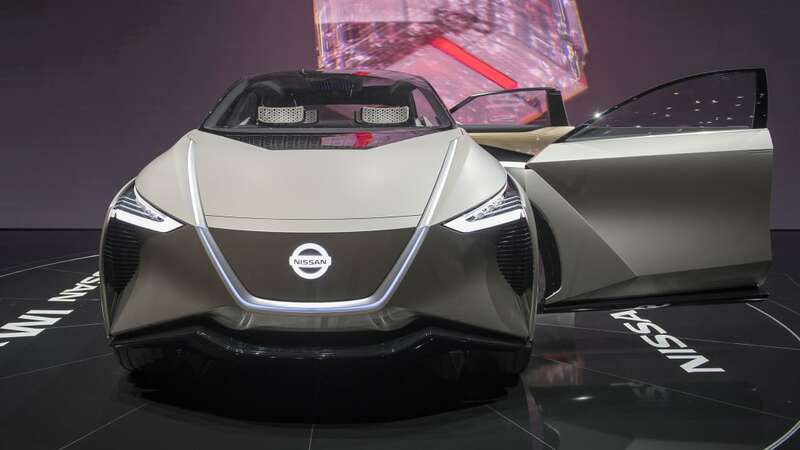 At the 2018 Geneva Motor Show, Nissan Chief Performance Officer Jose Munoz outlined the near future of the Japanese automaker's electrification strategy. 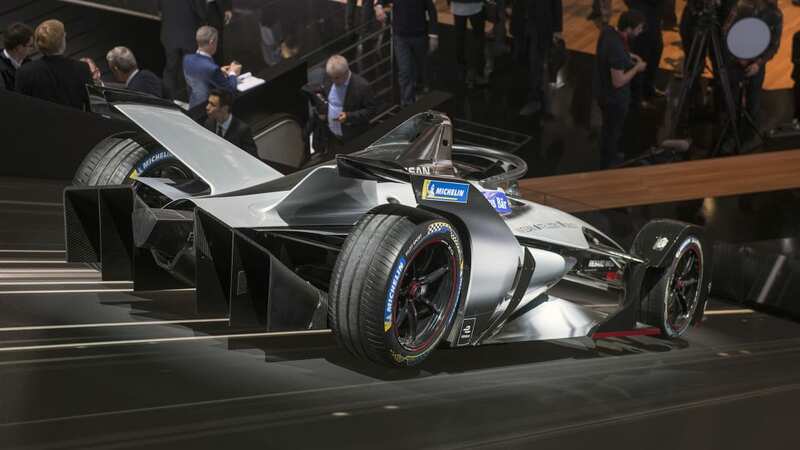 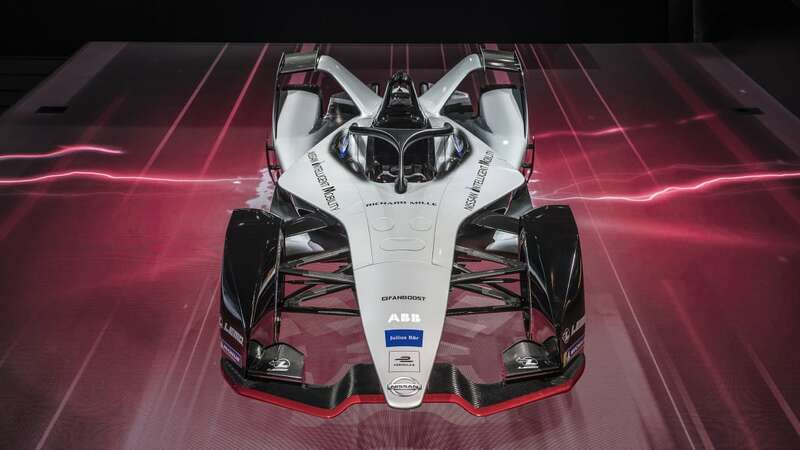 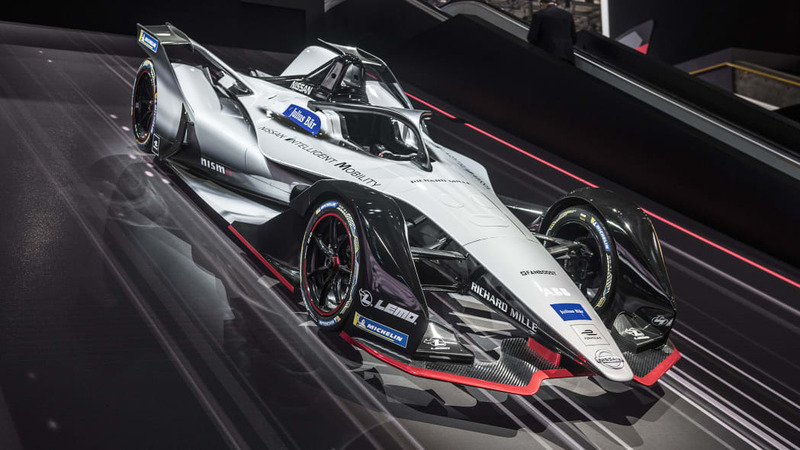 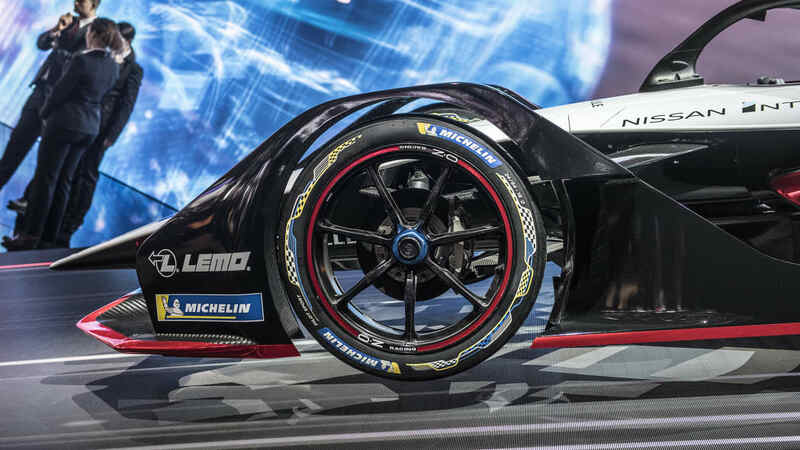 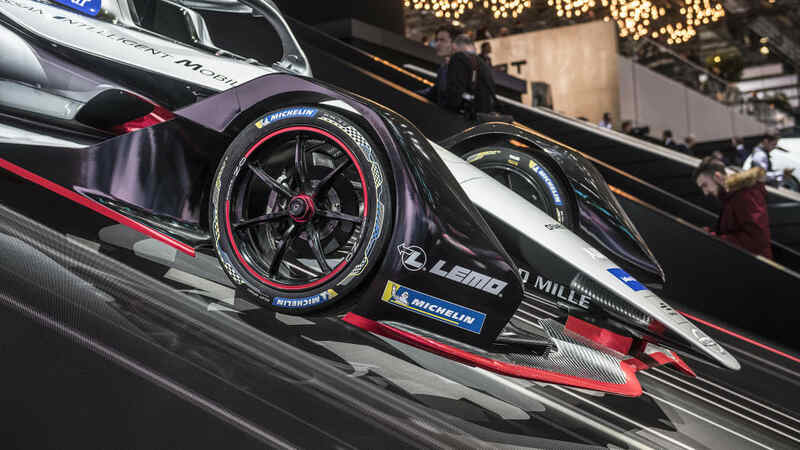 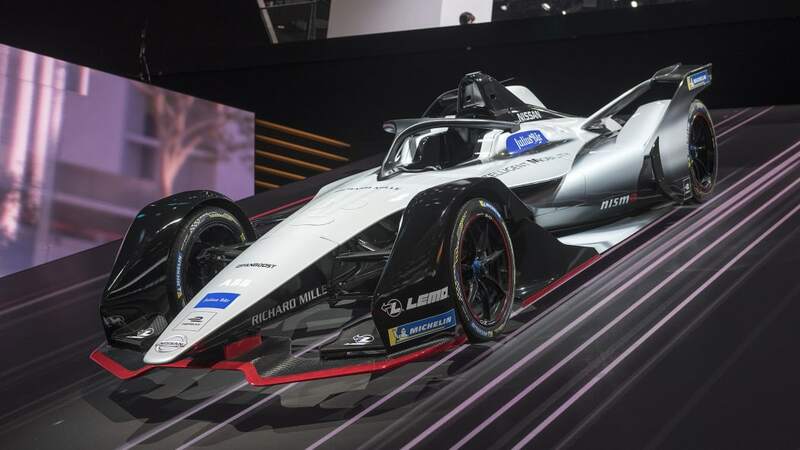 On stage, he unveiled the 2018/19 Nissan Formula E livery, as well as the IMx Kuro concept, an updated version of the IMx autonomous electric crossover that originally debuted at the Tokyo Motor Show late last year. 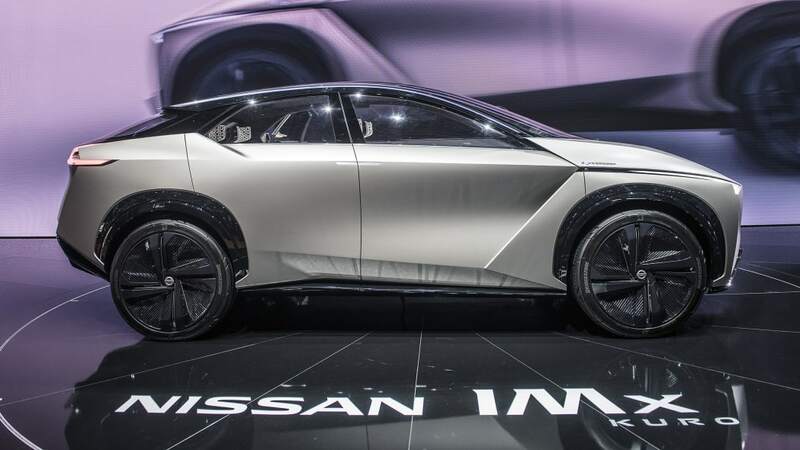 Munoz also announced that Nissan would offer electrified versions of all its next-generation crossovers in Europe, as well as a new partnership with energy supplier E.ON for renewable energy projects and vehicle-to-grid technology. 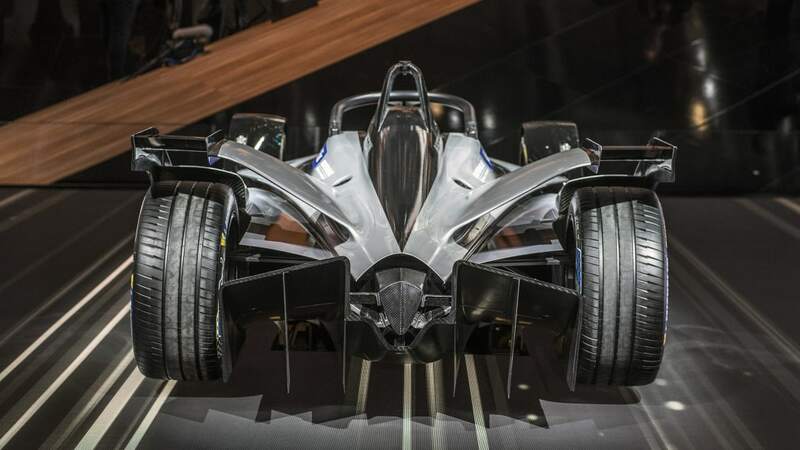 The most eye-catching reveal was, of course, Nissan's new Formula E car. 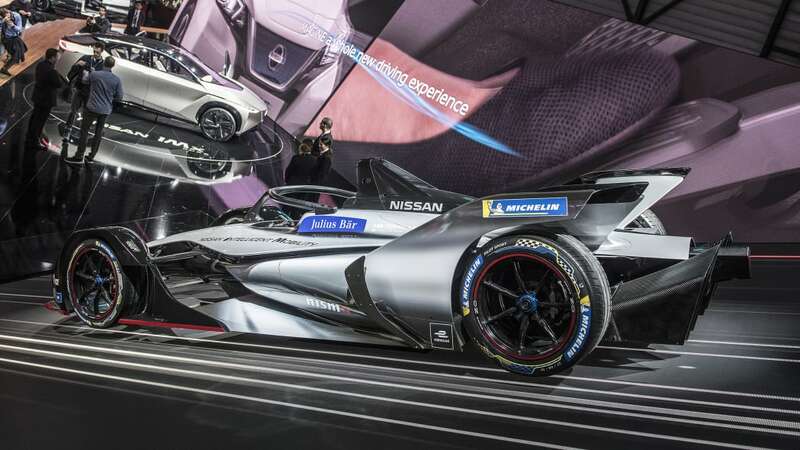 Nissan will join the all-electric racing series for the 2018/19 season, taking the place of its partner Renault. 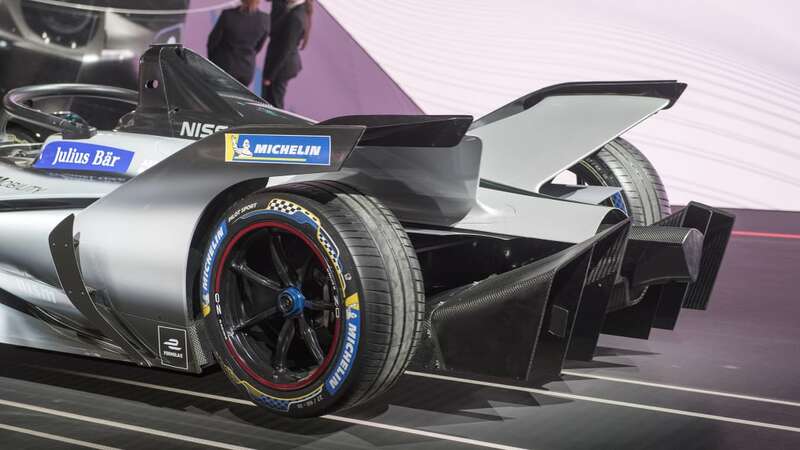 The championship not only helps Nissan put its EV technology on a global racing stage, but it also serves as a development laboratory to help refine and improve its technology. 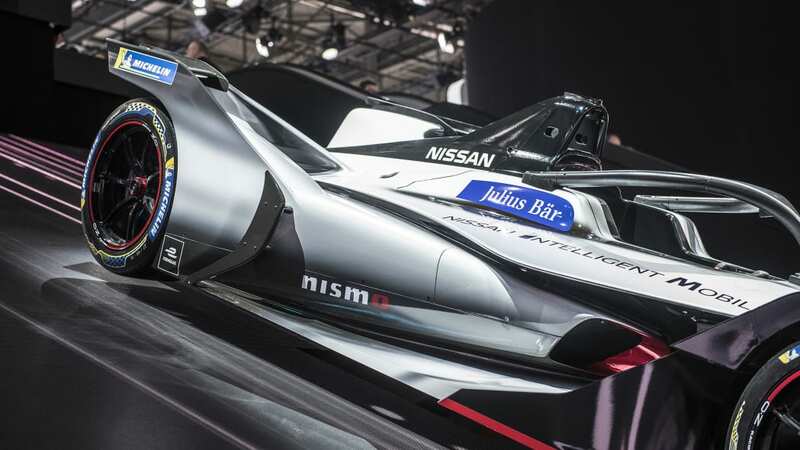 Formula E CEO Alejandro Agag was on hand at the Nissan press conference for the unveiling. 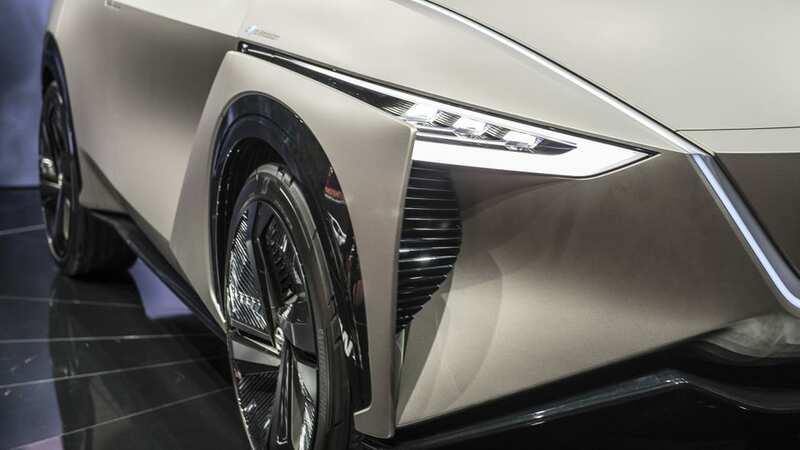 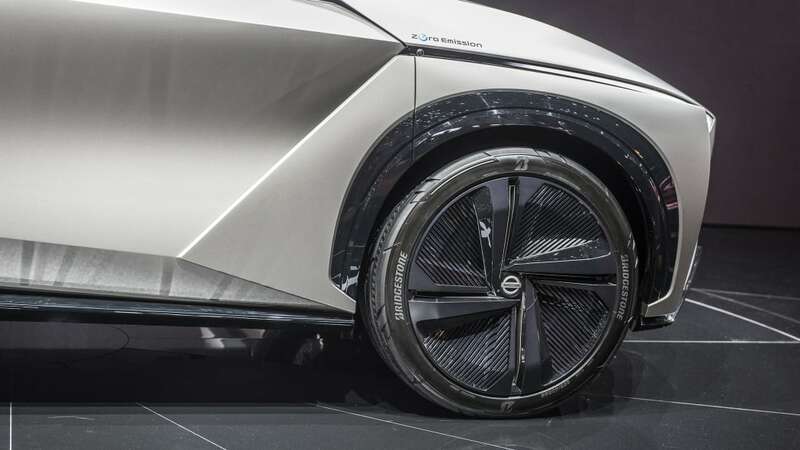 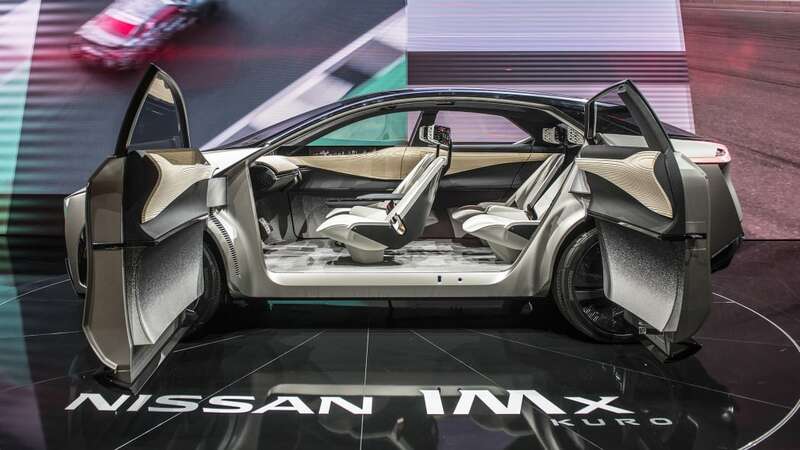 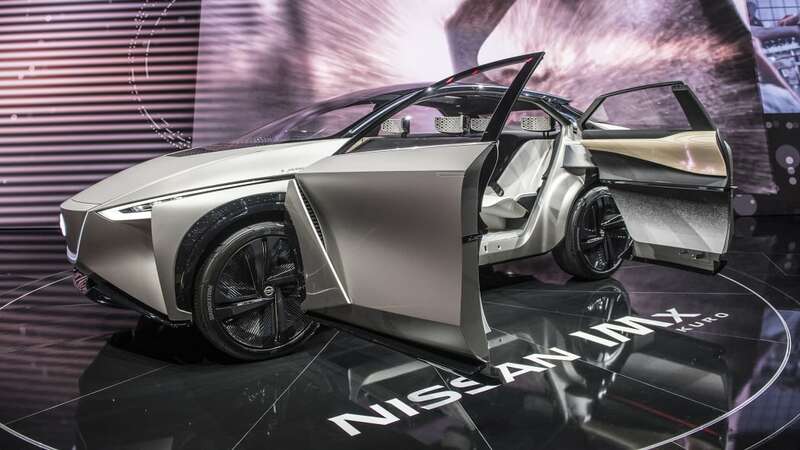 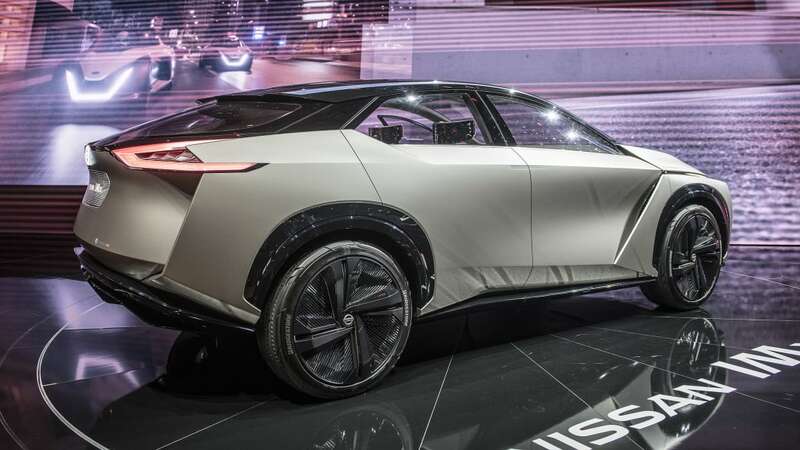 Also appearing on stage was the Nissan IMx Kuro concept, an electric crossover showcasing the automaker's Intelligent Mobility vision. 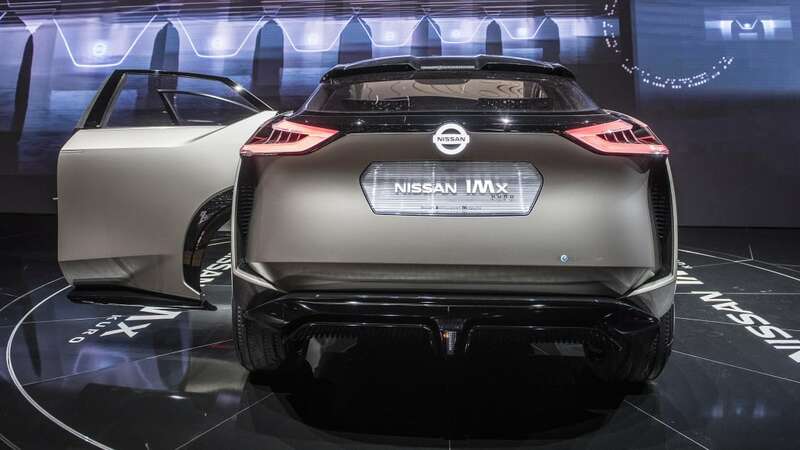 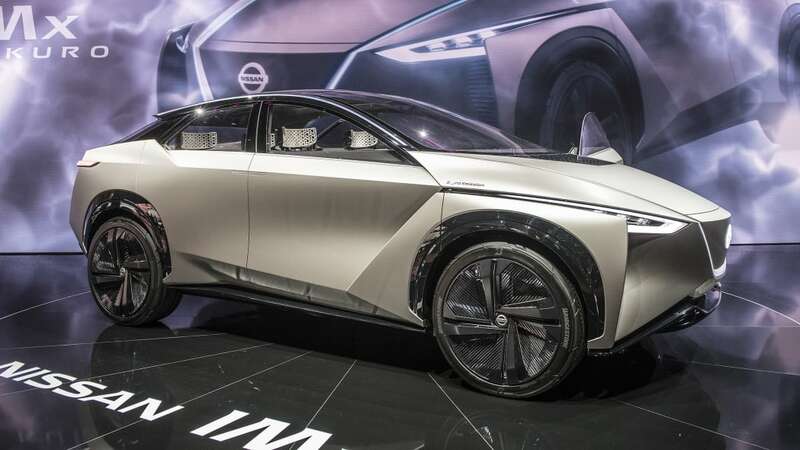 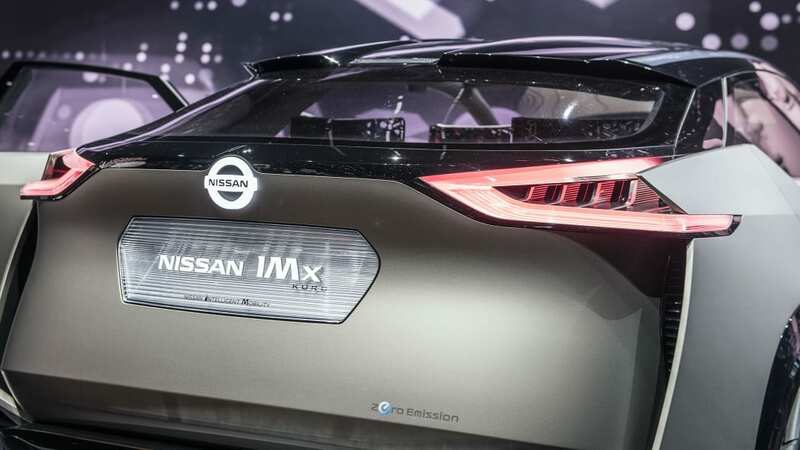 It's based on the previous IMx crossover, but is updated with a new look, as well as Nissan's brain-to-vehicle technology it showed at CES. 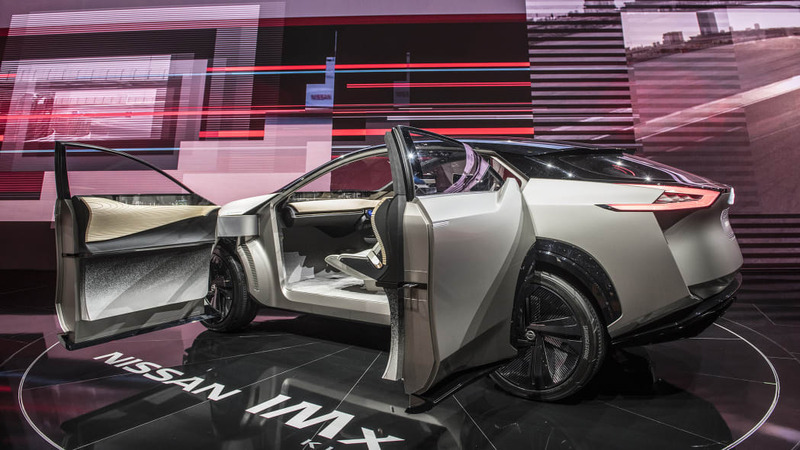 Visually, the IMx Kuro gets a new grille, black trim and wheels and a dark grey paint color. 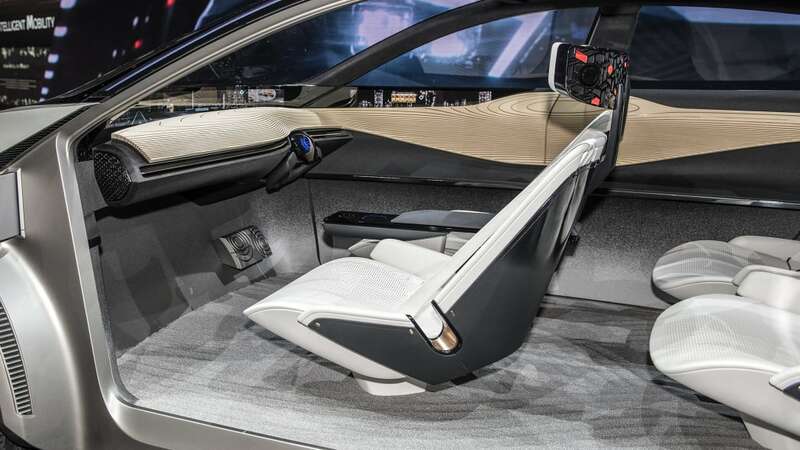 Its ProPilot autonomous driving system is enhanced by its ability to read the human driver's brainwaves. 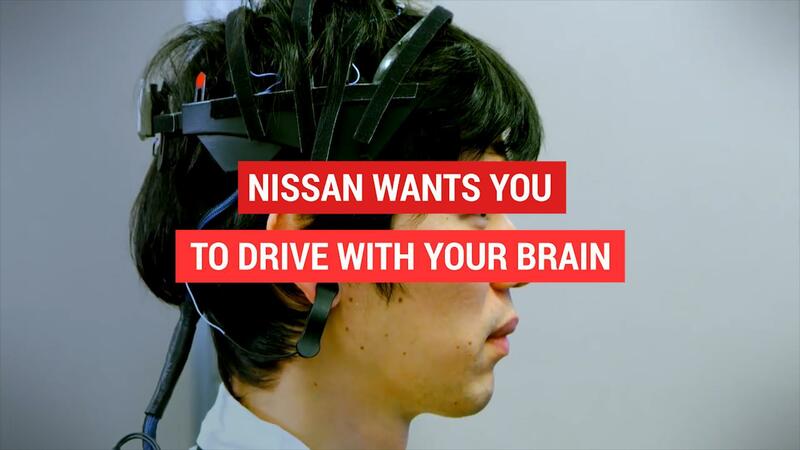 Under manual driving, it can predict driver inputs and respond more quickly to them. 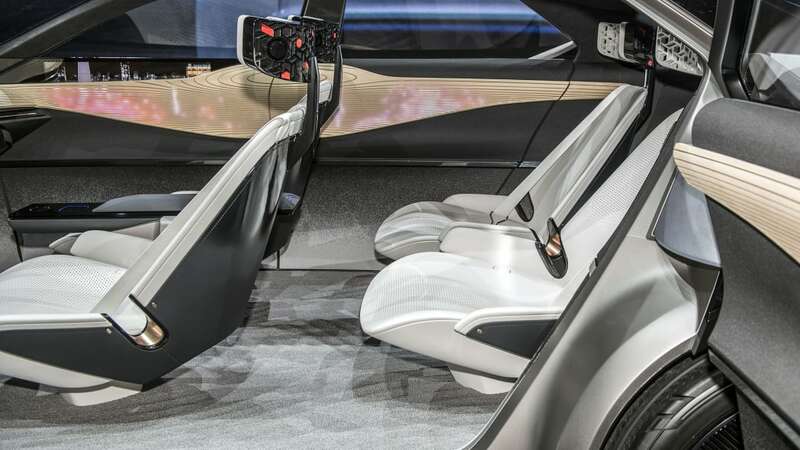 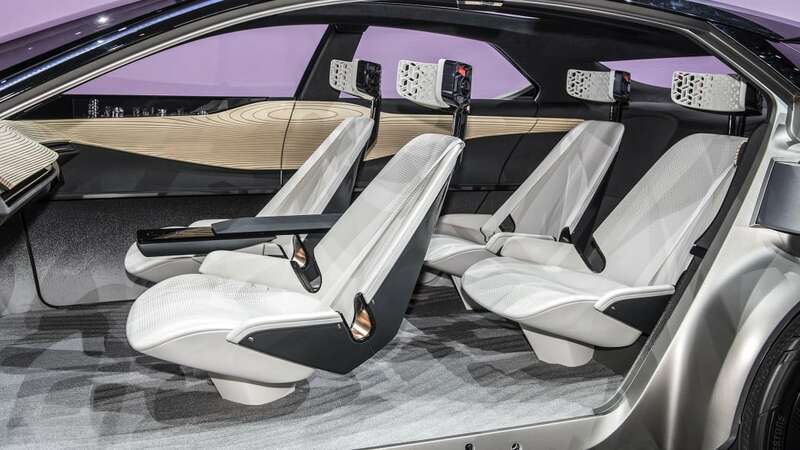 In autonomous mode, it can detect driver discomfort and adjust configurations and driving style accordingly. 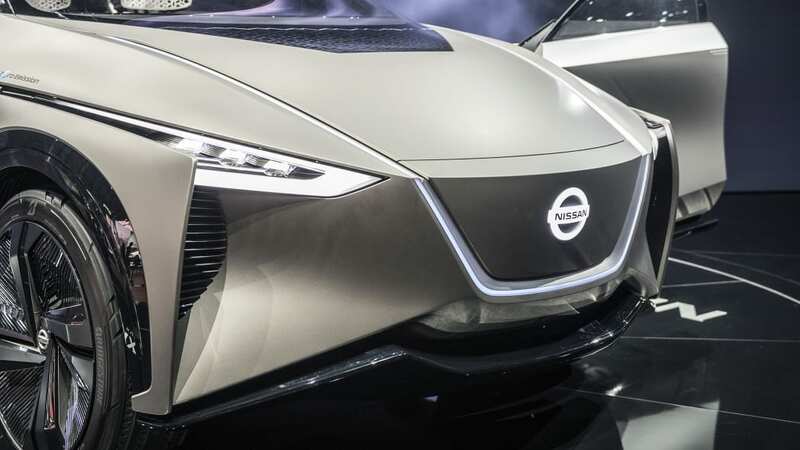 Speaking of crossovers, Nissan recognizes their continued popularity, and plans to offer electrified versions of its next-generation CUVs in Europe. 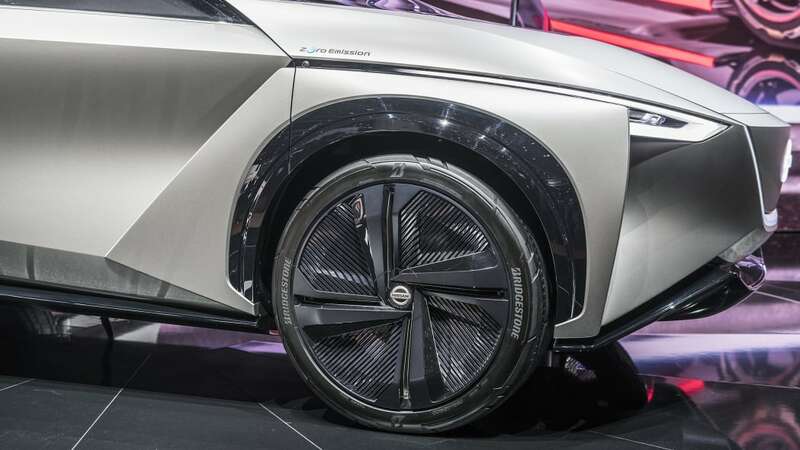 The company also highlighted its partnerships with renewable energy providers, and announced that it is working with E.ON on vehicle-to-grid and energy storage solutions. 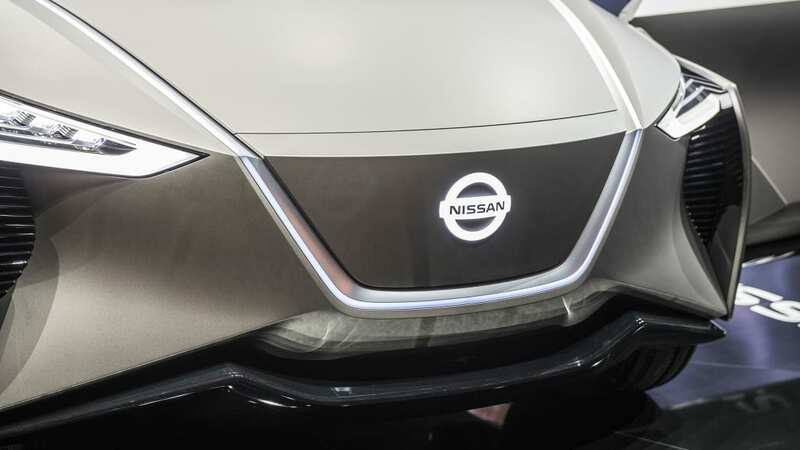 Nissan also plans to continue its solar and wind power initiatives in order to bring its EV customers clean, affordable energy.